In honor of the 35th Anniversary of the release of the Jeep Cherokee, is planning a bash in Moab UT in October of 2018. As part of the festivities, we will be drawing for 3 major prizes. 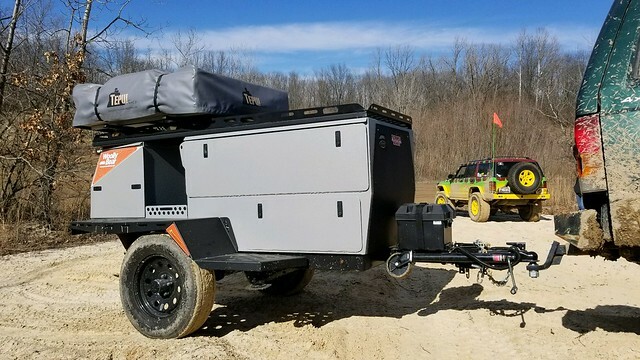 The first place price will be a 2017 Taxa Wooly Bear Overland Trailer. The second place price will be a set off off-road tires. The third place price will be a Cascadia Two Person Roof Top Tent. 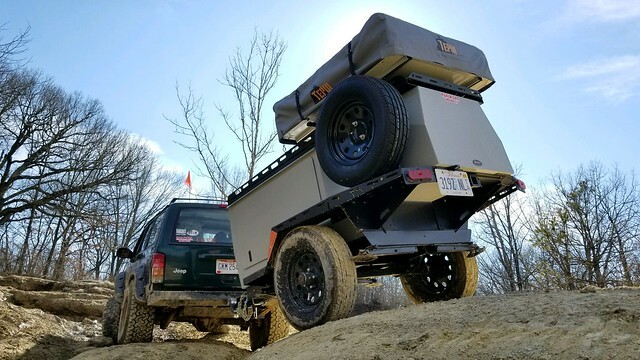 The trailer made its debut at the Midwest Chapter Winterfest event in early March and will be making appearances at several other events throughout the year. Buy now, buy often, and good luck! Tickets and payment must be received or postmarked by September 25, 2018 to be eligible for the drawing. Last edited by Cottontail; March 24th, 2018 at 20:19. Tickets are on sale! You know you want one (or 2 or 3 or more). Plenty of tickets still available. Who needs tickets for the giveaway trailer? Maybe a roof top tent? How about a set of off road tires. Only 25 more days to purchase tickets for the trailer. Formsite closes on September 25. Tickets will be available in Moab.